WOW!! Exceptional Brick two story on a professionally landscaped lot with a beautiful in ground pool and artificial turf putting green. Welcoming two story foyer with two sets of French doors - one leading to the Mahogany Den and the other to the spacious dining room. 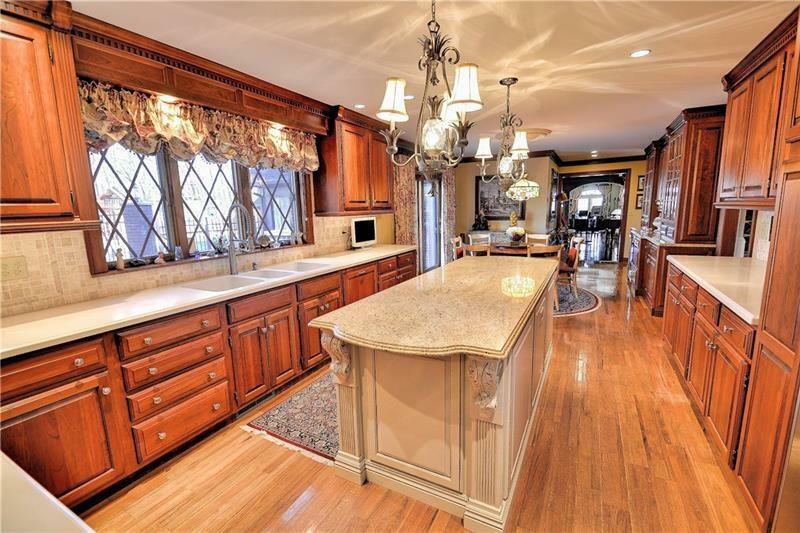 Magnificent gourmet eat in solid wood cherry Applegate kitchen with spacious granite island. 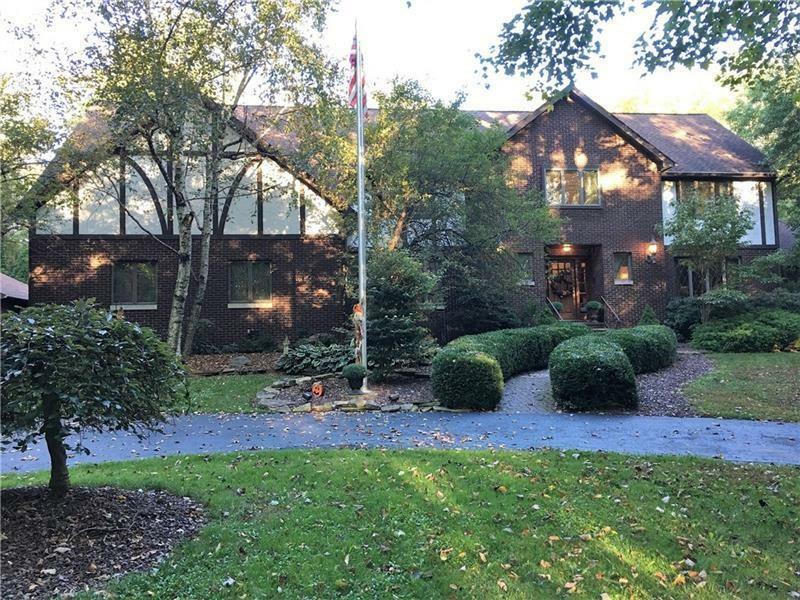 The main floor living/family room has a wet bar area, log fireplace, beautiful hardwood floors leading to the wonderful sunporch overlooking the in ground pool and Flagstone patio with built in grill area. The main floor also has two powder rooms and a laundry room. The upper level features four generous size bedrooms, walk in closets, extra room off one closet for storage galore, full bath in addition to the lovely master bath with Carrera Marble. 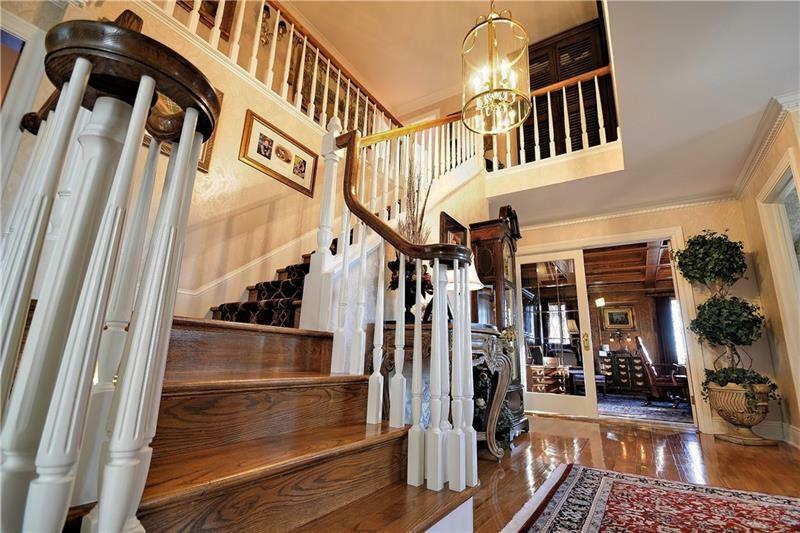 The lower level is a fantastic entertaining area with full sized bar, fireplace, full size kitchen, full bath, tanning room, and current exercise room could possibly be a fifth bedroom. Courtesy of Howard Hanna New Castle Office. © 2019 West Penn Multi-List, Inc. All Rights Reserved. Information Deemed Reliable But Not Guaranteed.